It’s impossible to generalise about keeping a boat in the Med – there are as many different experiences of this as there are boat owners – but the promise of great weather and stunning scenery are among the many attractions. However, it’s vital to identify your key priorities from the start. Those who value spending time in harbours with a plethora of amenities will clearly have different needs to those who relish self-sufficiency and an escape to remote anchorages. 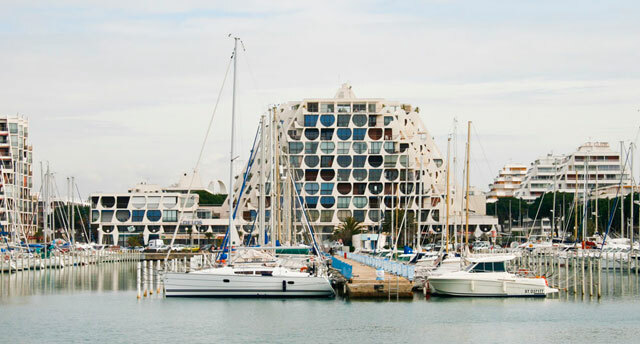 A port conveniently close to an airport in the Western Med is more likely to be a large modern development – this is La Grande Motte, an easy 15-minute drive from Montpellier airport. Although some Mediterranean locations have long been the preserve of the super rich and remain eye-wateringly expensive, there’s also a wide range of lower-cost options. If work or other commitments mean your use will be predominately long weekends, plus the occasional week or two of holiday, the vessel will need to be easier to reach than one used for a smaller number of long vacations. The easier it is to get to your boat the more expensive moorings tend to be, although this may be offset to some extent by reduced costs of shorter flights. Visitors’ berths in easily-reached parts of the western Med in particular can become inordinately expensive between mid/late June and early September. In the past the best prices are generally found in the South of France, where many marinas are municipally run, although mainland Spain has been hard hit by the recession, so good deals can now be found on berthing here. Many parts of Croatia are also relatively easy to get to, with marinas in Split and Dubrovnik an easy 30-minute taxi ride from the airport. However prices in tourist areas are relatively high and boat yards and marinas tend to be expensive – even town quays can cost £50 per night for a 35ft boat in high summer. Balancing this to some extent, there are also plenty of anchorages, especially among the islands, which is perhaps one reason it remains a popular destination. 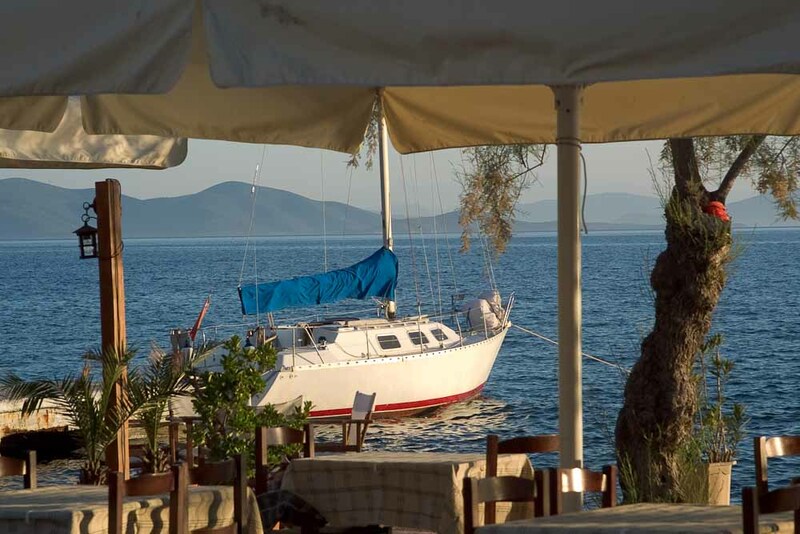 Smaller out of the way boatyards in the Eastern Med can be in idyillic locations, like this one in the Gulf of Volos. 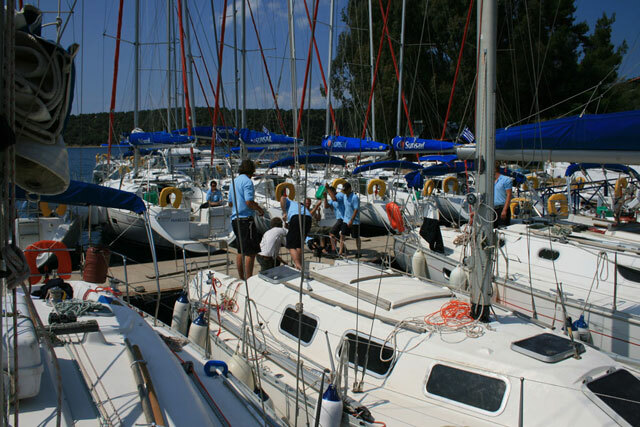 Greece is well catered to provide for foreign boat owners, although there’s only a handful of full-service marinas and owners tend to need to be more self-sufficient than elsewhere. 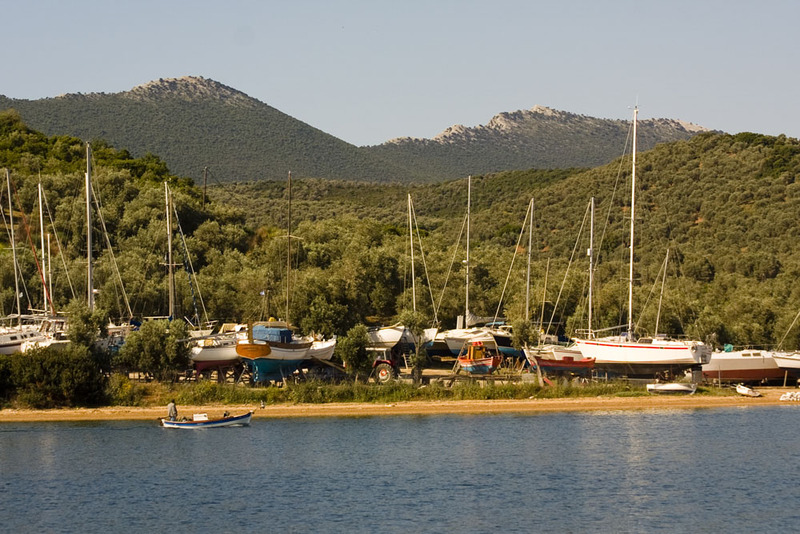 There are plenty of sheltered harbours with friendly tavernas, but frequently no other facilities for visiting yachts. This means that outside the handful of commercially managed marinas there are few places in which a boat can be left afloat without relying on its own anchor, so remaining afloat when returning home is often difficult. In some ports a guardienage service that checks the boat at regular intervals is available, at a typical cost of £60-£100 per month. 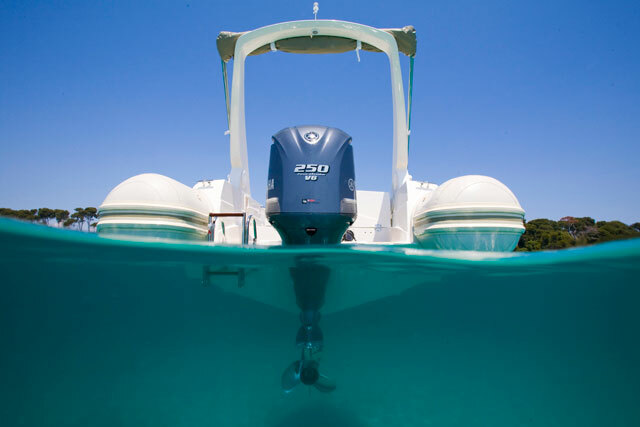 However, the quality of such services varies considerably, so it’s worth getting recommendations from other boat owners and ensuring your mooring arrangements are bullet proof. A good idea for a boat that’s predominately used for two or three longish trips each season is to dry-sail from a boat yard – this can frequently work out cheaper than the cost of summer mooring plus laying up ashore for the winter. Many yachts, especially in the eastern Med, started their lives in charter fleets. 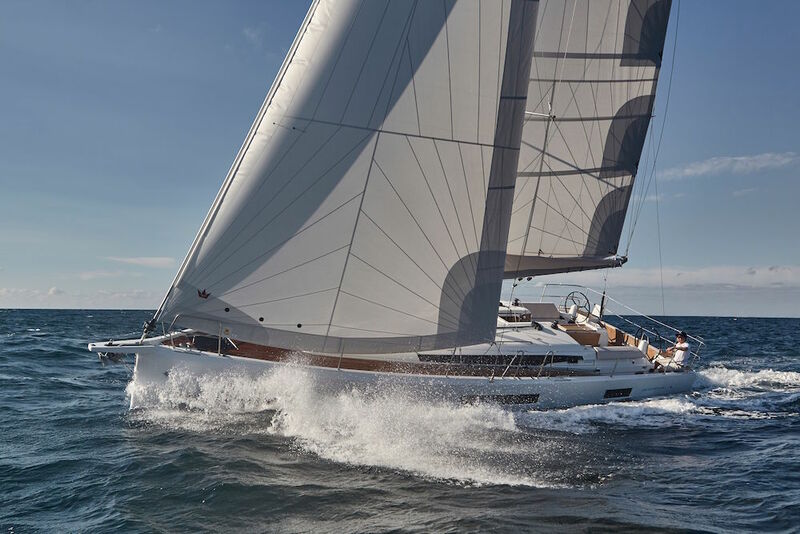 They are likely to be well-specified for sailing there, including well insulated fridges with that minimise battery drain, biminis for sun protection on deck and powerful electric anchor windlasses. While some of these boats will have had a hard start to their life, many are used for fewer than 20 weeks a year. As ever, even if buying from a reputable company, it's vital to get a survey: the UK's Yacht Designers and Surveyors Association has a number of surveyors who travel regularly to all parts of the Med. Perhaps one of the biggest drawbacks of former charter boats is that they have been getting bigger over the years – 34ft is now the smallest in many fleets, which means it's becoming more difficult to find a boat that's an optimum size for one couple. 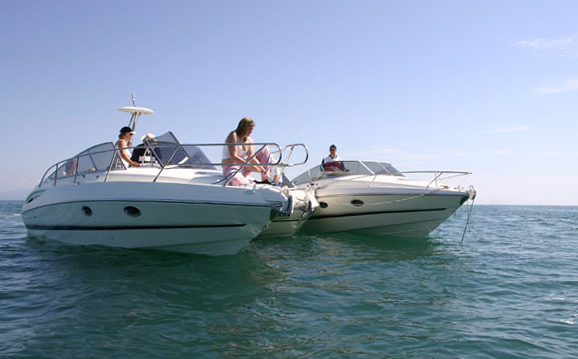 Many owners are tempted to buy a boat that’s larger than their needs – beyond sleeping and cooking you probably won't use the inside very much – and bigger boats are harder to handle and much more expensive to maintain, Equally, don't stretch your budget in buying the boat, especially if planning to live onboard - worrying about money will quickly detract from the experience. Read Buying a boat in the Mediterranean. An ex-charter boat can be a good choice and will be equipped for Mediterranean sailing, but make sure you get a proper survey. You can expect a lot more bureaucracy in many European Med destinations than north European cruising areas. Local cruising permits are required in many countries and clearing in and out of countries – especially if it involves leaving or re-entering the EU – can be an onerous process. In Greece, for instance, you’re expected to report to the Port Police in every harbour. In the past this was often overlooked, but with Port Police responsible for collecting harbour dues, this appears to be changing. It’s also important to recognise the point at which you become de facto resident in country – when this happens you may become liable for import duties on the boat, as well as local taxation. 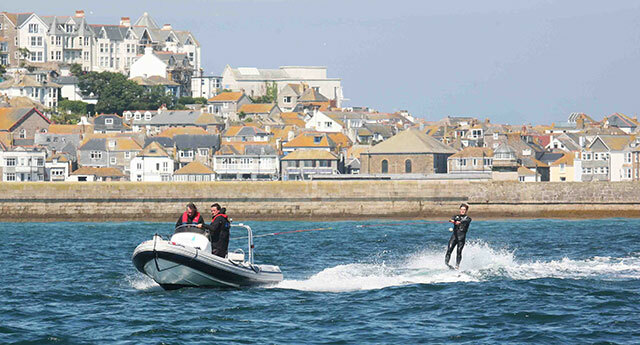 You may also need a local skipper’s qualification and to satisfy local regulations for safety equipment. In many cases the rules for becoming de facto resident are complex, but for EU citizens the starting point generally applies when you spend 183 days or more during a 12-month period in any one territory. Outside the three months of high summer inclement weather is by no means as unusual as the brochures like to suggest. Winters, although mostly more mild than in the UK, can have very harsh periods, as can autumn and winter, particularly in northern regions. The most difficult part of keep a boat in the sun is frequently found in the apprehension around making the initial decision. Once there, you’ll quickly become part of a network that will help solve problems, providing you filter advice to suit your own priorities – many boat owners assume everyone else is looking for exactly the same experience as they are. A flexible attitude also helps – not everything can be done as easily or as quickly as in home waters and when budgeting it's worth including a larger contingency for problems. 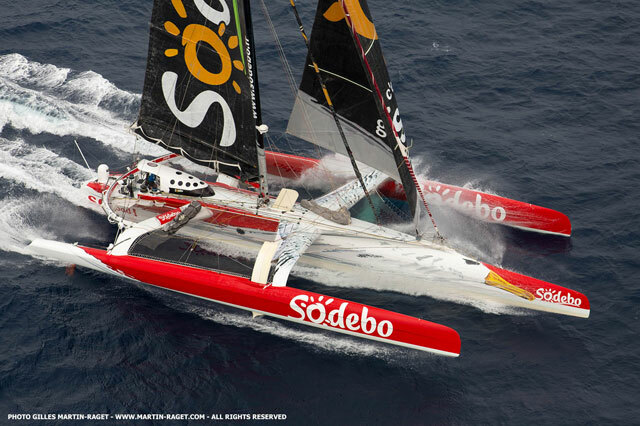 Rupert Holmes has cruised and raced more than 60,000 miles, between 60 degrees north and 56 degrees south. 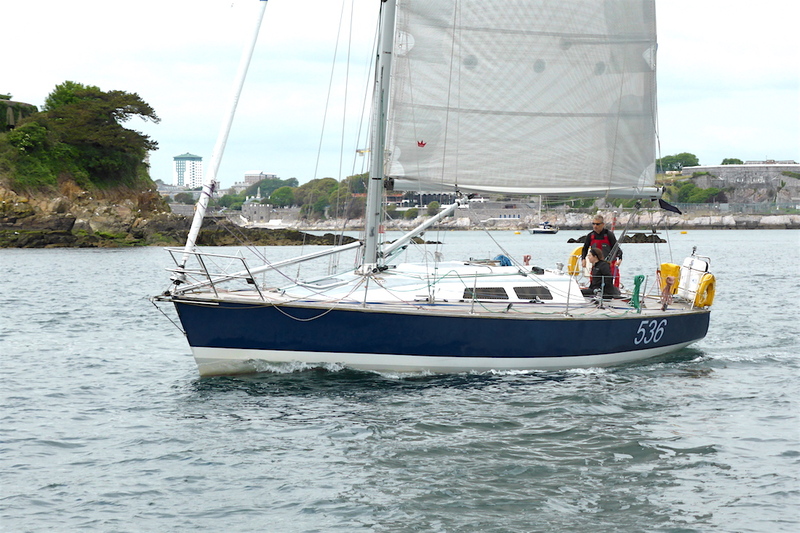 He writes about all aspects of boat ownership and marine travel, including destinations, seamanship and maintenance, as well as undertaking regular boat and gear tests. He owns two yachts, one currently based in the Aegean and the other in the Solent.